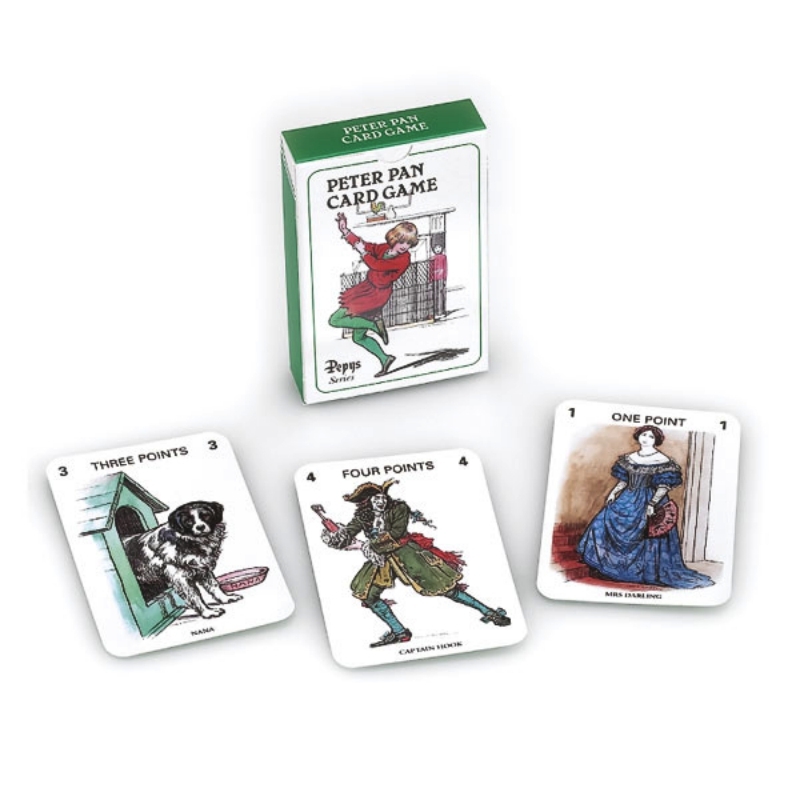 Escape to Neverland with our Peter Pan Pepys game. This game is designed for three or more players. The complete set has forty four cards of four sets numbered 1 – 11 in Red, Green, Blue and White and an attractive Joker card featuring Peter Pan. The card game is based on the rules of WHIST, with the first player to have a total of 500 points or more at the end of the hand winning the game. As well as being able to play PATIENCE with these cards, the whole story of Peter Pan can be followed.